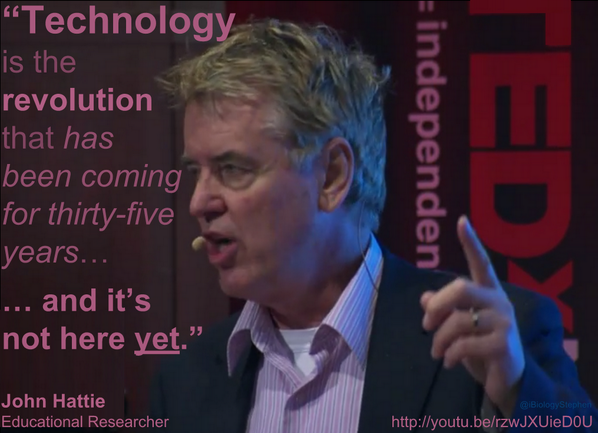 Hattie TEDx Talk: Why are so many schools & teachers successful? This is an excellent TED Talk in which Hattie gives a solid overview of the Visible Learning impacts. Teachers should watch it. Students might get something out of it, too. 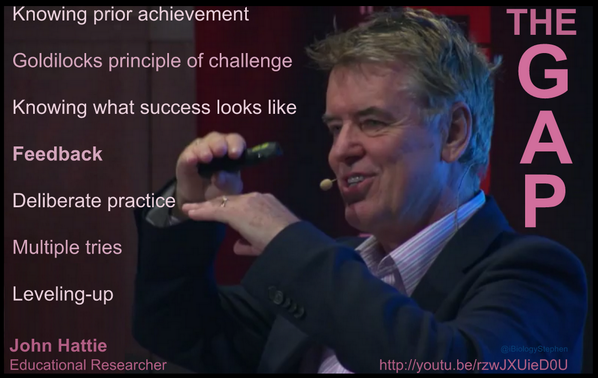 This is worth sharing as a neat overview of Hattie’s research and the learning impacts. With Visible Learning as the basis for our Teacher Learning Communities at CA, it makes for a timely resource. Posted on December 12, 2013, in Uncategorized. Bookmark the permalink. Leave a comment.